This post was on the classicalrealist.org site that was taken down so i thought i would provide it for those who missed it or were trying to find our link to it. 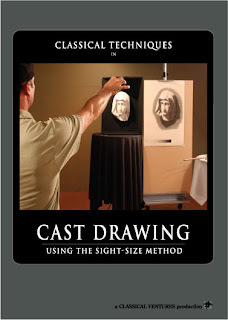 Available now Cast Drawing Using The Sight-Size Method from Classical Ventures. It has high production value and is a good example of one of the versions of the Sight-Size Method for Cast Drawing.